Indiana State Climatologist Dev Niyogi says the current weather patterns aren’t inconsistent with what he expects this time of year. Niyogi says because of the weather’s variability – such as the last week, when temperatures fluctuated more than 20 degrees – farmers should pay attention to localized forecasts. Still, Niyogi says the wetter conditions don’t pose that much of a threat. Associate State Climatologist Ken Scheeringa says farmers have harvested well into December in the past, and crops are are unlikely to deteriorate in the field until after the New Year. 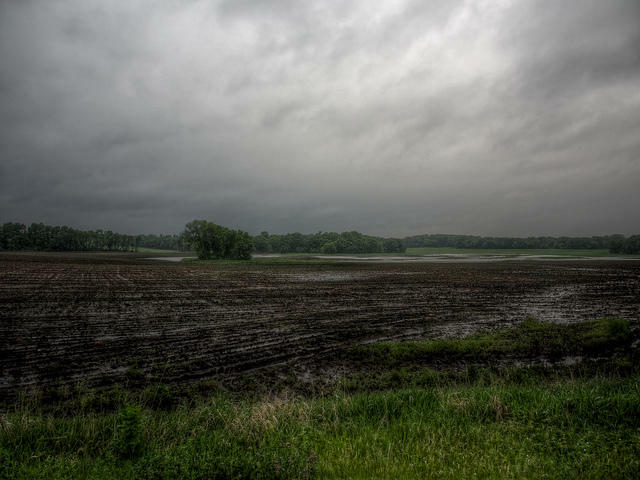 The USDA reports warmer temperatures were expected to be good for planted winter wheat, but heavy rain stopped much field activity. Livestock are reported in good condition. 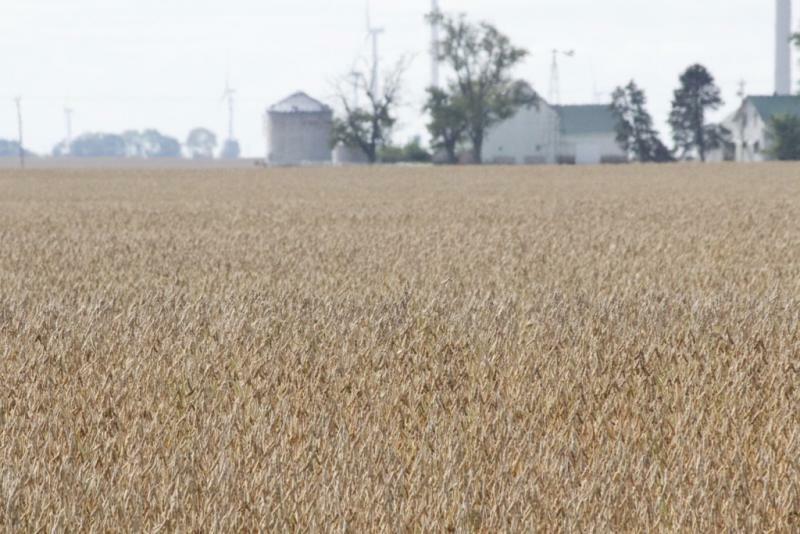 Indiana grain farmers are hustling to keep up with harvest as fall progresses. The soybean crop is on pace with the five-year average as of this week, according to the USDA. 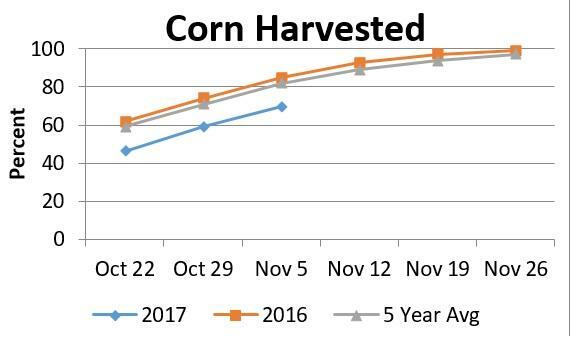 But corn is less than half harvested, which is well below average for this time of year. 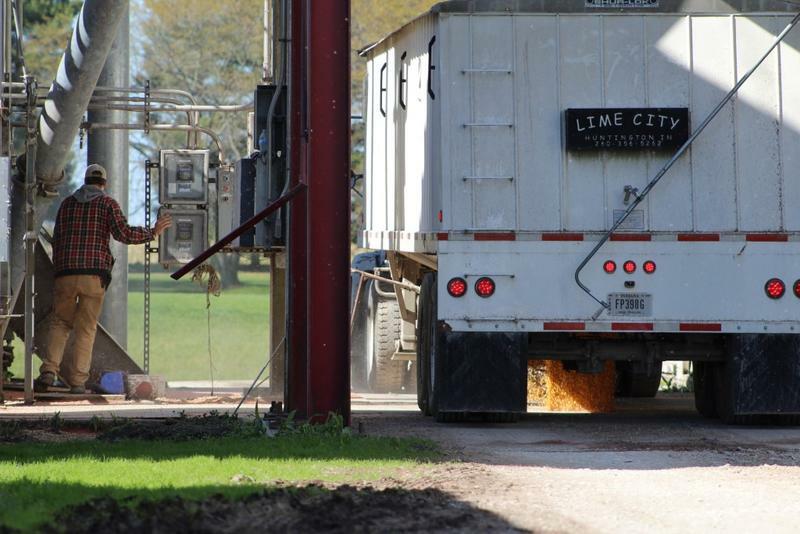 That’s put large operations like White Oak Farms in Putnam County under the gun to get their corn out of the field before it spoils.